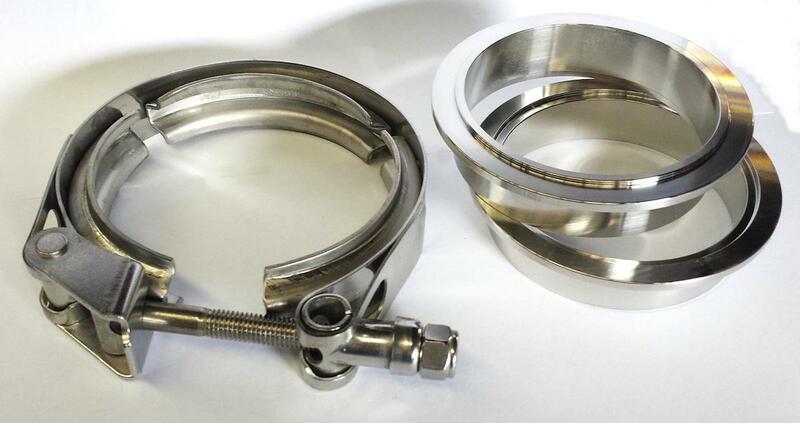 Stainless V-band kit to suit custom exhaust systems or wastegates, includes two 76mm ID V bands and clamp. V-band sections have a locating step and clamps feature a quick-release function. Outer diameter of V-band flange is 95mm.